These are my thoughts of Microsoft press conference on E3 today. First of, we get a demo of Modern Warfare 3, not too surprising. I have never played the former MW-games before, but this makes me want to. The graphics looks great, the gameplay is great, the game looks all around great and you get some sort of a wow feeling about it all. I hope to play it when it comes out. The second game is Tomb Raider. I just have to say, as great as the new Lara Croft looks (I love the makeovers characters known to the gaming world is getting) I can't help but think that she's really whiny in the trailer. Although I must say that I feel the pain she's having during the first couple of minutes of the demo. The game looks not that different than it's predecessors, if anything, it looks a bit messy. But who knows, lets hope that it's not. At this point, Microsoft starts to talk about a lot of Xbox innovations for the Xbox 360 as a multimedia platform. Things like easy access via voice and the addition of Bing searching and YouTube. This looks really great and well done. They have accomplished what they wanted. But is it what we want? I for one wants games, and this takes up way too much of the time of the conference. This is what Microsoft has to conquer Nintendos Café, and it's not enough. Next they show a new Ghost Recon with Kinect features. I have always been a bit sceptical against Kinect, it's a toy, not a tool for gaming. Ghost Recon does not help prove me wrong. It tries, but I still prefer a controller. And then, Mass Effect 3, and this is just great. I longed of this game when I had played the second one, and this just makes me want it even more. They have added some Kinect voice features that some seem pointless, like choosing a dialogue in the dialogue tree by saying the phrase, but some seem kind of cool, like quickly ordering your teammates to do certain attacks by saying the name and the attack. The sixth of mars 2012 is the date to look for. Next they show two games quickly following each other. Ryse, which is the new name of Codename: Kingdome. Now THIS is what I wanted Kinect to be used for. Slashing and defending with shields, like it's real. I'm really looking forward to knowing more about the game soon. 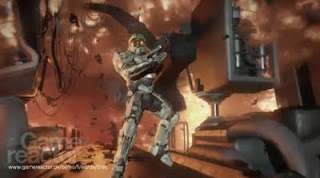 The other trailer was for Combat Evolved Halo: Anniversary. It's Halo with HD graphics. Nice! uch else about it. Not a big fan of racing games so not something I will buy. Next up is Fable: The Journey. Now, I love Fable, all three of them. And this seems to be a first person version of it, going on tracks and completely being steered with Kinect. It looks rubbish actually. The atmosphere is great and I'm interested in the story. But it's not a movie, it's a game, and I'm not sure if I'm going to like playing it. I can just hope, because I love Fable. They also showed Gears of War 3, of course, looking as amazing as ever. This, I'm really looking forward to, and I hope for four player co-op. Hopefully we will get more information during the week. After this, the conference cools of for me. They show a conversion of Minecraft to the Xbox that looks kind of cool. They show some games for the Kinect that are clearly kids games, like Disneyland adventures, which just makes me long for Kingdom Hearts III, and the Sesame Street game, that looks really bad. The only thing going for it is that it is made by double fine. Kinect Star Wars were also shown, but that also looks quite bad. Let's hope I'm wrong. More for Kinect, Kinect Sports 2 and Dance central 2. I know that Harmonix knows what they're doing, so for people who like to dance, this is the game to play. Kinect Sports 2 is... well, Kinect Sports 2. Kinect Fun Labs is a tool to do a lot of things with the Kinect, like building your avatar quickly without needing to flip through a bunch of menus, and such. It look kind of cool, but again, nothing really game related, just a customizing feature. The presenter ends the conference by thanking everyone here and the room darkens for a last trailer... A new trilogy. The screen shows the cells of a body... The heart... We can hear a muffled voice... I becomes clearer... "Wake up John." Of course, it's Halo 4, once again with Master Chief and Cortana in the leading roles. I'm exited to see what 343 studios does with the popular series. I hope it's amazing, and I hope it's new and fresh, but still recognizable. The hype is bigger than ever, lets just hope anything can live up to it. We will see at the end of 2012. 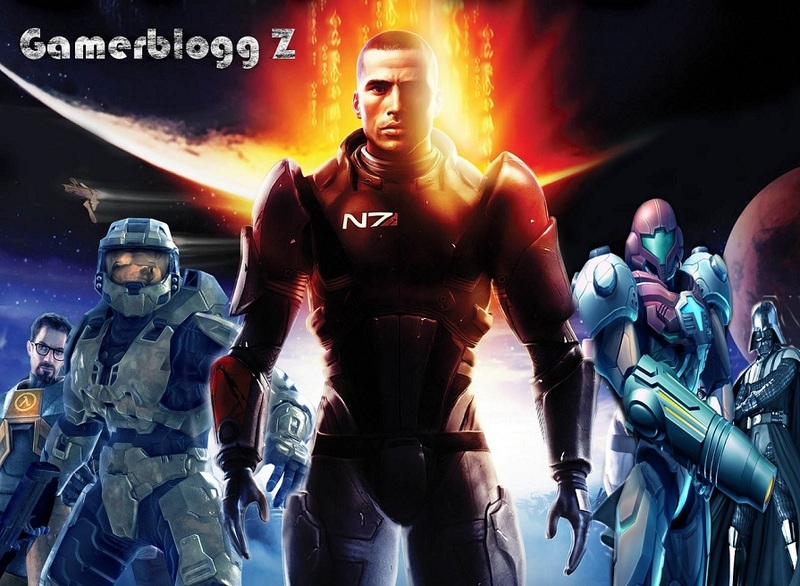 To sum it up, Microsoft's E3 press conference 2011 was a dissapointment, and I don't see how Nintendo and Sony could not top it. 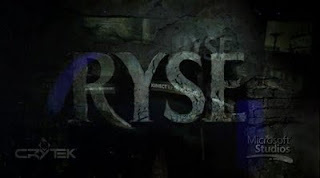 With too much focus on the Kinect, the only things I went "awesome" at were Ryse and Halo 4. It's not good enough. In a few minutes we'll se how Sony does.